Our primary business perspective is to provide quality and affordable professional care for loved ones requiring care in their own home or a facility setting. Our thoroughly screened, licensed, insured and bonded employees (Home Health Aides / CHHA) care for your family members in their own familiar home setting. Our 24/hr Live-In care services offer one-on-one 24/7 personal care around the clock. After assessing your specific Live-In care needs with CareBridge's professional staff, you will appreciate how the Live-In care option can foster independence. With the ability to remain in their own home (verses in an institutional setting), families have found that loved ones are better equipped to participate in daily activities. Those receiving one-on-one care also find that they maintain control over their own lifestyle and are able to preserve their dignity. Some of the other advantages of having 24/7 care is that it provides oversight on medication adherence, nutritional requirements, emotional support, and activities of daily living needs that are required for the client’s well-being. 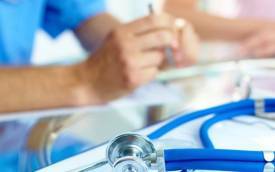 Any of our services begin with a thorough Nursing Assessment by one of our staff Registered Nurses (RN). Through this hands-on process we can better understand a family members daily and physical care needs. 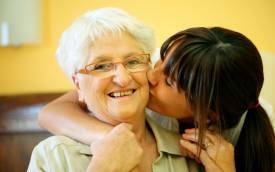 This allows CareBridge to customize a Care Plan that is followed closely by our aides while in the home setting. 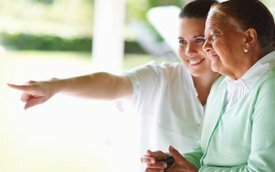 CareBridge Home Care's Live-In aides will become familiar with personal routines, preferences and ADL care needs allowing your loved ones to receive the customized care they deserve. Reinforcing the sense of independence, maintaining control over their daily functions and preservation of self esteem is essential for overall physical and mental health. It’s understandable that family members are more likely to spend time with ill family members in their own home rather than in a sterile institutional or medical setting. CareBridge's Live-In care provides this often overlooked alternative to facility care for those needing assistance with personal and daily needs. For loved ones and clients alike, Live-In care means they both can spend more quality time rather than having to personally provide care for them. With our professional care, you and your family members can now concentrate on enjoying the precious family time you have together.